Common there. issue, topic -- teams of two? Dec. 17 -- Final Draft (12 pp.) is due. 5. Segments to watch in class -- last three weeks. 6. Post-election thoughts -- you, your POV and YOUR paper. 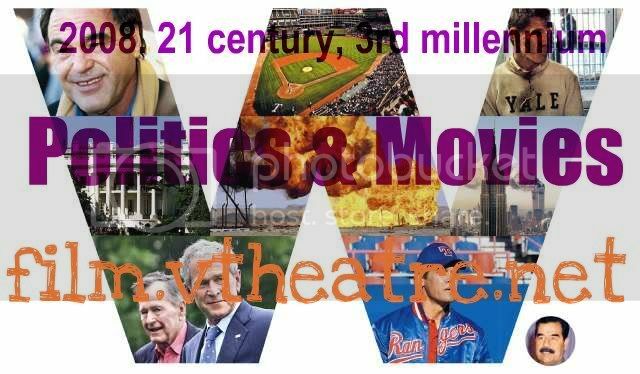 "W." -- could be bad president and bad movie the good subjects for ANALYSIS? which one to select for the second test? Feedback on midterm -- in class and CONFERENCES? ... and Mirror by Tarkovsky [now] before moving on the last assignment -- Movies & Politics. Second movie for the final paper is an individual choice : samples in class. Second test [ in class, open book, 30 min. ] after the textbook reading is done.